Brazil is the fourth largest milk producer in the world. Besides its economic relevance, milk production has an important social function in Brazil. Dairy activity employs a large amount of people and contributes to regional development. But some drawbacks remain, such as poor labor conditions and problems for family succession. Labor conditions may be critical for successors to decide whether to remain in dairy activity. Paraná is the second largest milk producer in Brazil, mainly with smallholder family dairy systems. This paper aims to discuss labor conditions, family succession and structural features in Paraná’s dairy activity. Our hypothesis is that family-based farms present poorer structure, poorer labor conditions and are less prone to family succession. The method comprised face-to-face interviews with 153 dairy farmers, in two groups: 117 family-based farms (Group 1) and 36 hired-labor farms (Group 2). Common factor analysis led to identify three factors: “structure”, “labor conditions” and “individual conditions to family succession”. Dairy farms in Group 1 present poorer structural and labor conditions, although being more prone to family succession, partially supporting our above hypothesis. Thus, structural features and labor conditions seem not to be the driving factors for the intent to family succession, which suggests the existence of other incentives. Results also indicate the need to improve labor conditions, especially for Group 1, since poor labor conditions may threaten family succession in the very long run. Efforts to improve family labor conditions are necessary to ensure long-term sustainability of dairy farming in Paraná State. Further studies could investigate social, market, technology and political features directing decision-making in family succession. Expanding the variables for labor conditions and structure, as well as including other social and behavioral factors, could put more light on the differences between dairy farms using and not using hired labor. Finally, a deeper investigation on reasons why family-based farmers do not promote better labor conditions is critical for the future of Paraná’s dairy sector. 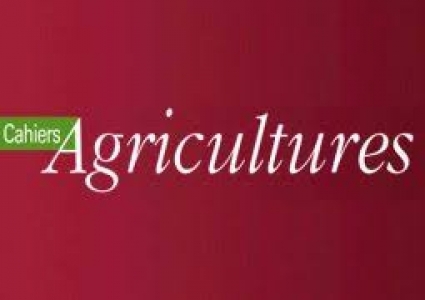 “Multifacet realities of work in agriculture” articles were selected from proceedings of the 1st International Symposium on Work in Agriculture, which was held in November 2016 at the State University of Maringá (UEM), Brazil. All articles are available here.